Embroidery isn’t just for your grandmom’s inspirational throw pillows anymore. 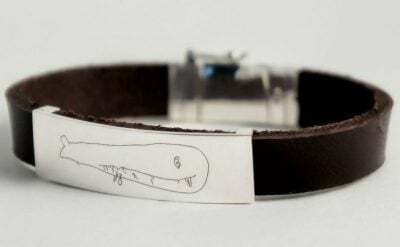 Now you can put it on your body in the form of a tattoo, too! 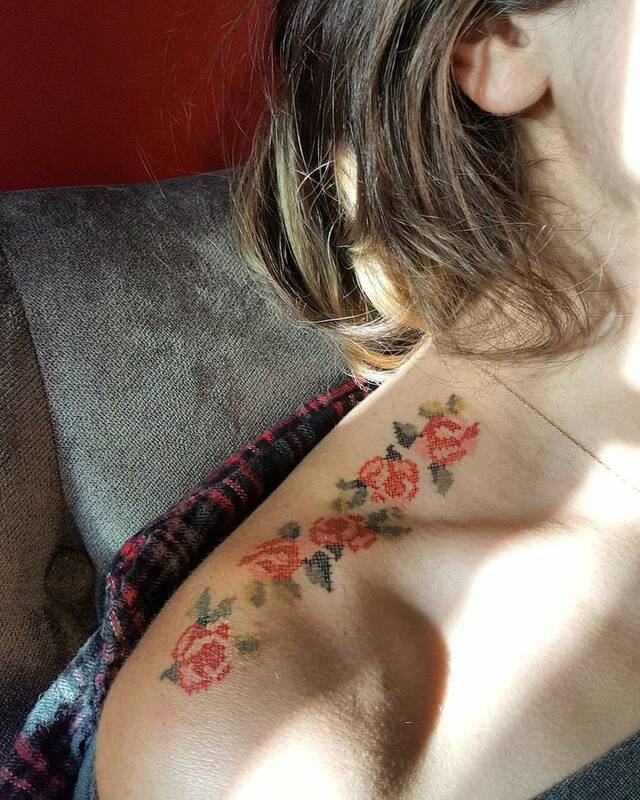 Embroidery tattoos are a thing now! 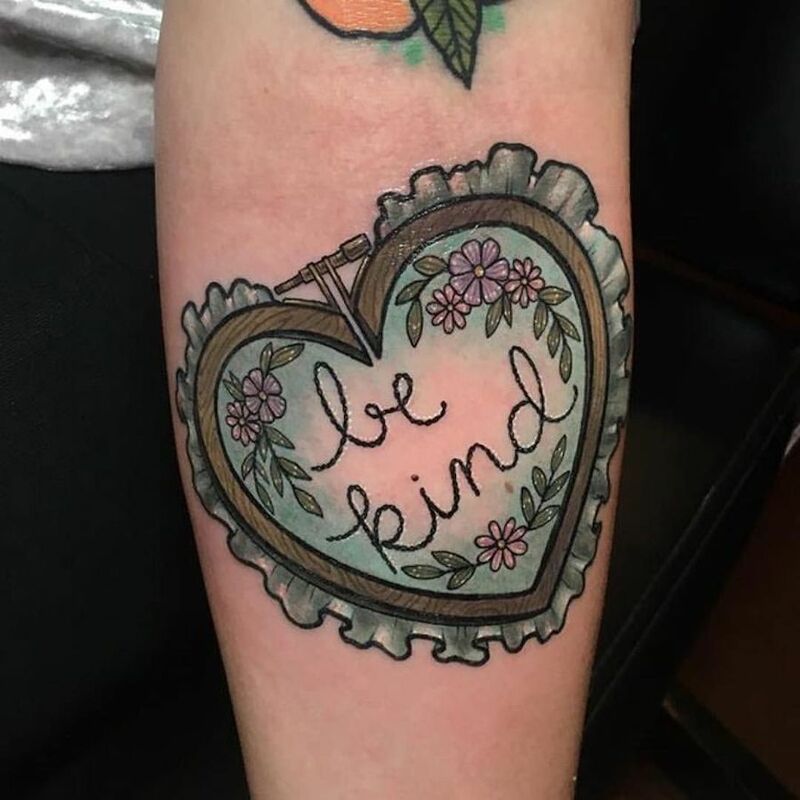 I’m poking fun at embroidery, but honestly, as a tattoo trend this one is wholesome and nice. Cringe-worthy inspirational quote or beautiful picture – embroidery tattoos look nice and pretty. 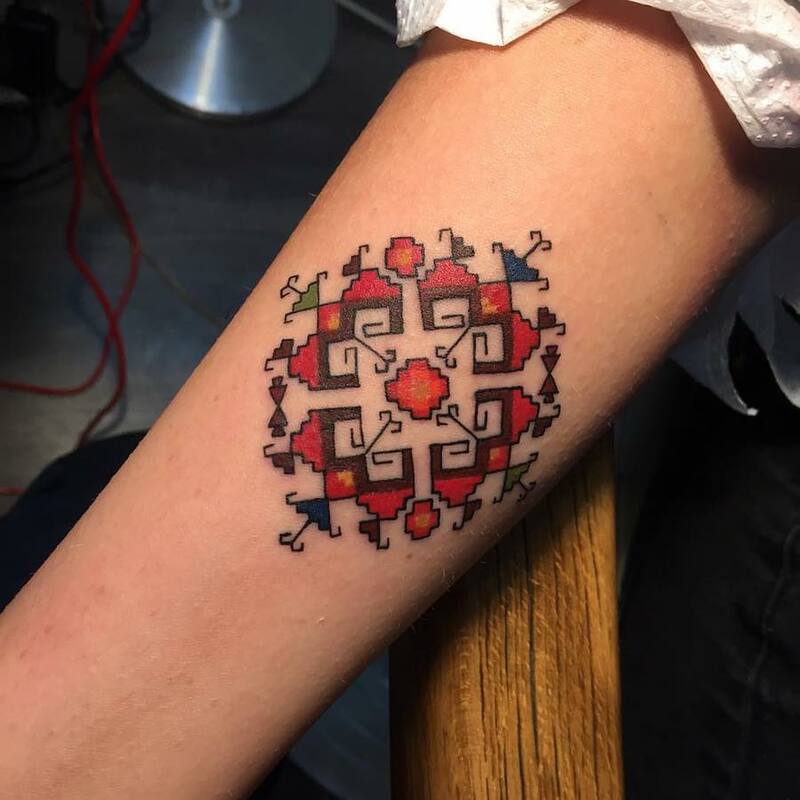 Here are 15 examples of how nice a good embroidery tattoo can look! 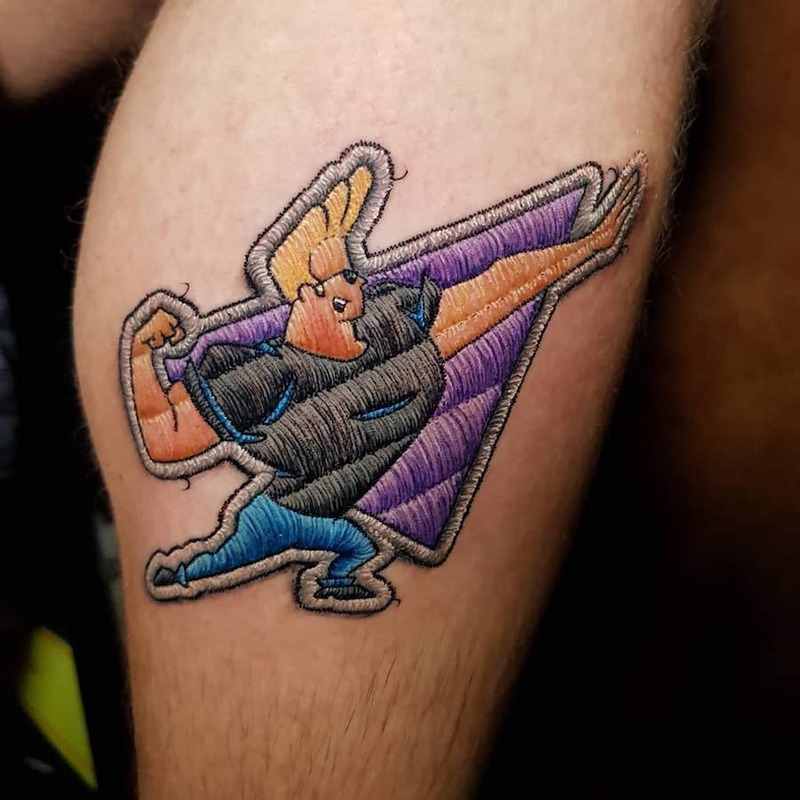 I mean, Johny Bravo is the epitome of cringe-worthy masculinity, but as a 90s kid myself I can’t help but feel some sort of nostalgic connection to him. And if you want to add some “soft” to the “macho” you can get it in an embroidered style! 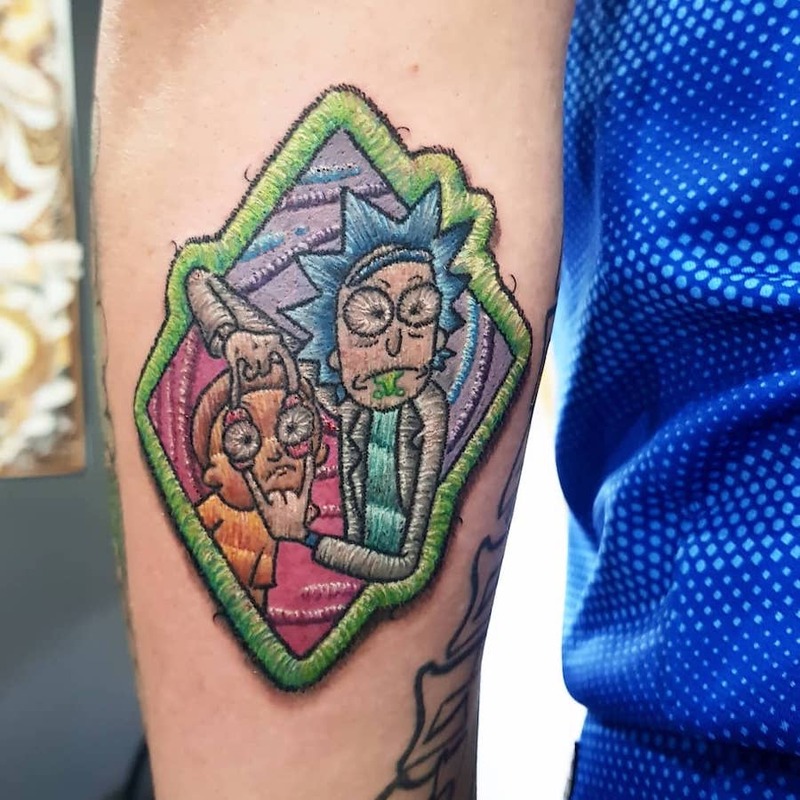 Look, you have to have a higher level of intellect to understand that there are more levels of irony in this embroidered tattoo than there are dimensions in our universe. Wabalabadubdub! 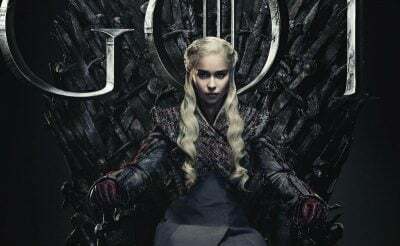 Even though I’ve mostly seen these tattoos on shoulders and arms, they also make great leg tattoos. This one here is a traditional Moldovan pattern that is also commonly present on their national clothing. 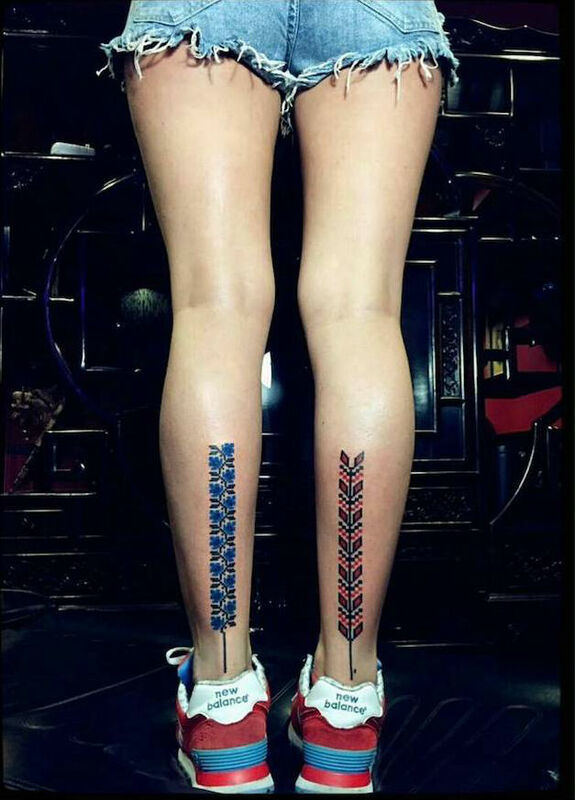 However, any flower can make a great embroidery tattoo for your leg if you include its stem and leaves! 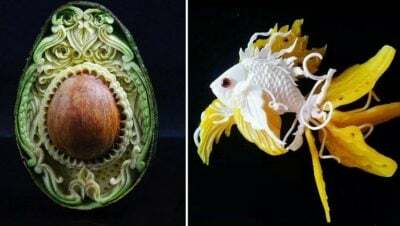 There are as many patterns for embroidery tattoos as there are ways to embroider. Cross-stitching, running stitches, zig-zag stitches, and more. If you have a preferred type of stitch, a skilled tattoo artist will be able to mimic the texture and pattern of the stitch on your arm. A great way to make your embroidery tattoo stand out is to surround it by a more classic tattoo style. Here you can see the embroidered bird juxtaposed with the branch it is sitting on and the berries in the background. 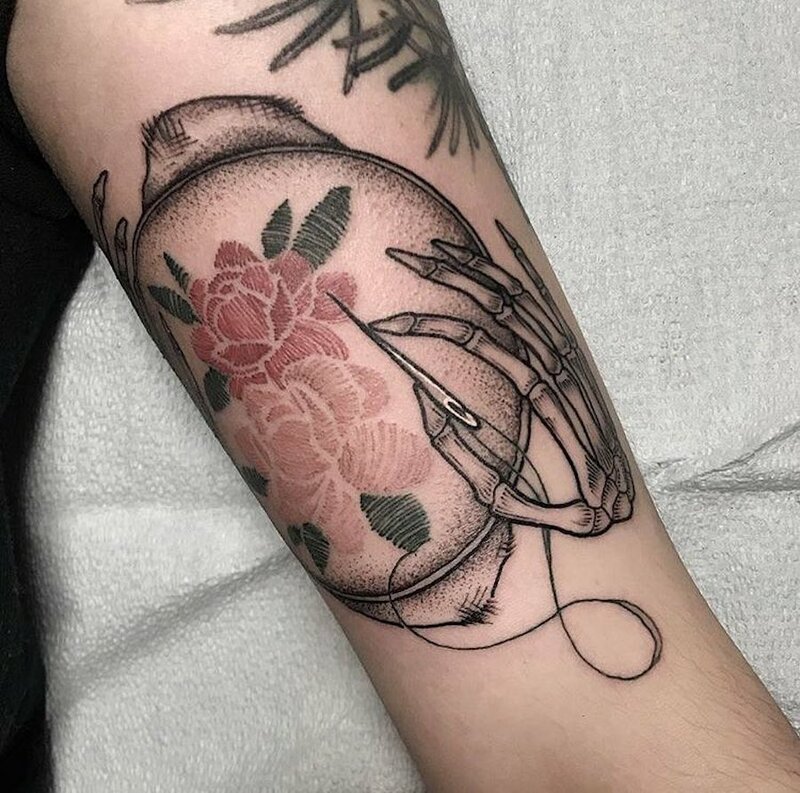 Going for an embroidered pattern is a great way to add a unique touch to an old and classic tattoo idea. 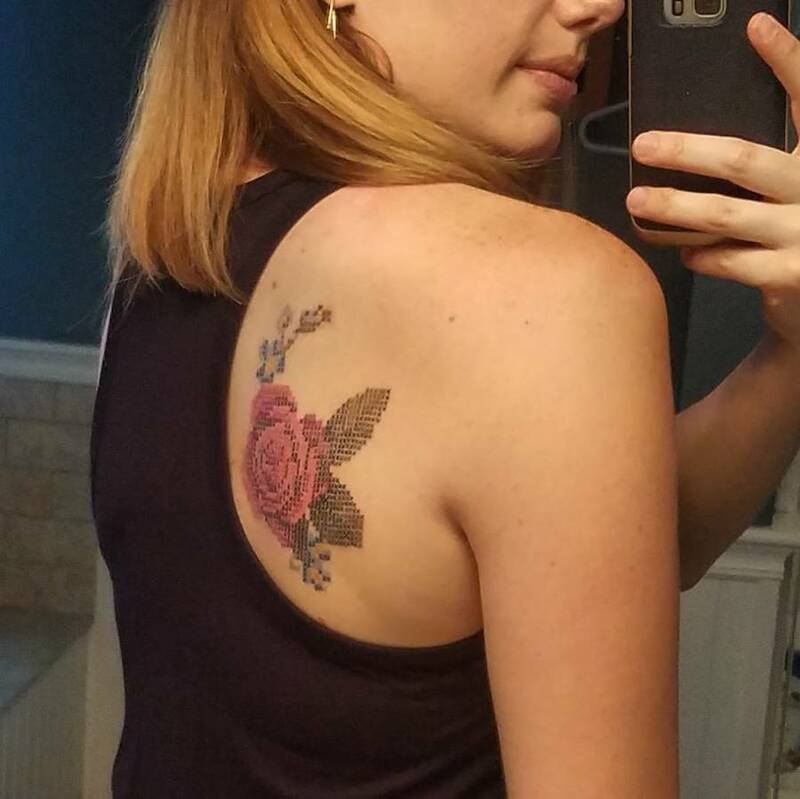 Look, I know butterfly tattoos get a bad reputation in the tattoo world. Sure, placement has a lot to do with it, but also, it’s just a bit of a cliché, isn’t it? 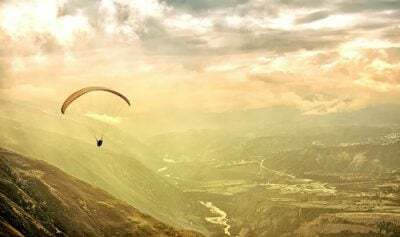 But as with the previous example — making your tattoo look like it was embroidered on your skin is a way to stand out of the cloud and do something truly original with the art on your body! 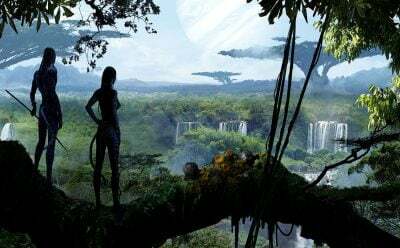 This one is close to my heart as well. Rocket Power was a staple of my 90s Cartoon Network media diet. While this is true for many of the tattoos on this list, I’d like to direct your attention to the shadows and borders of this tattoo. 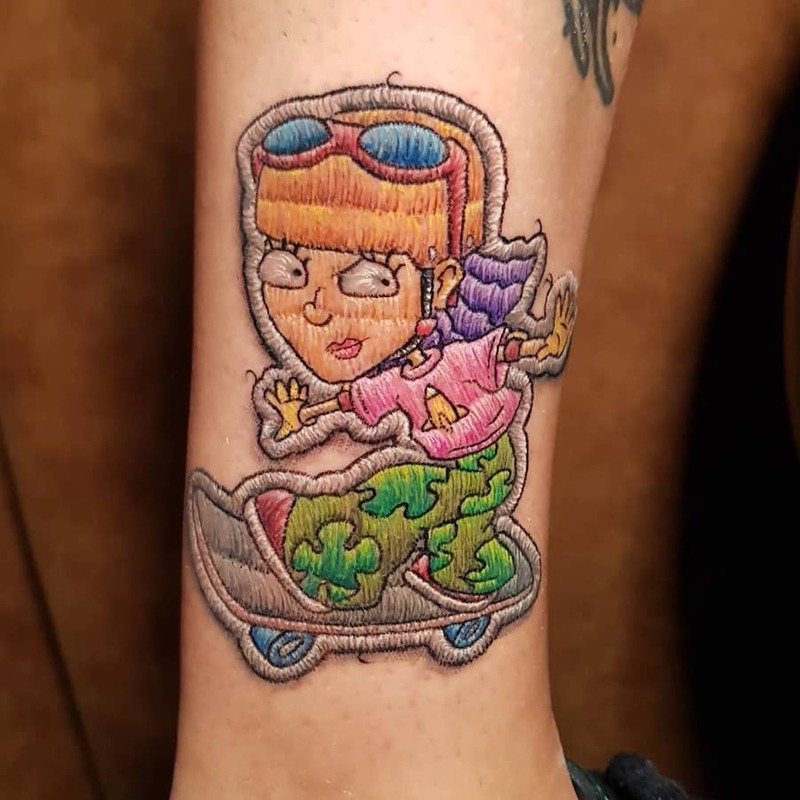 Even though this is nothing but ink on skin, it really looks like a patch that’s been ironed on! 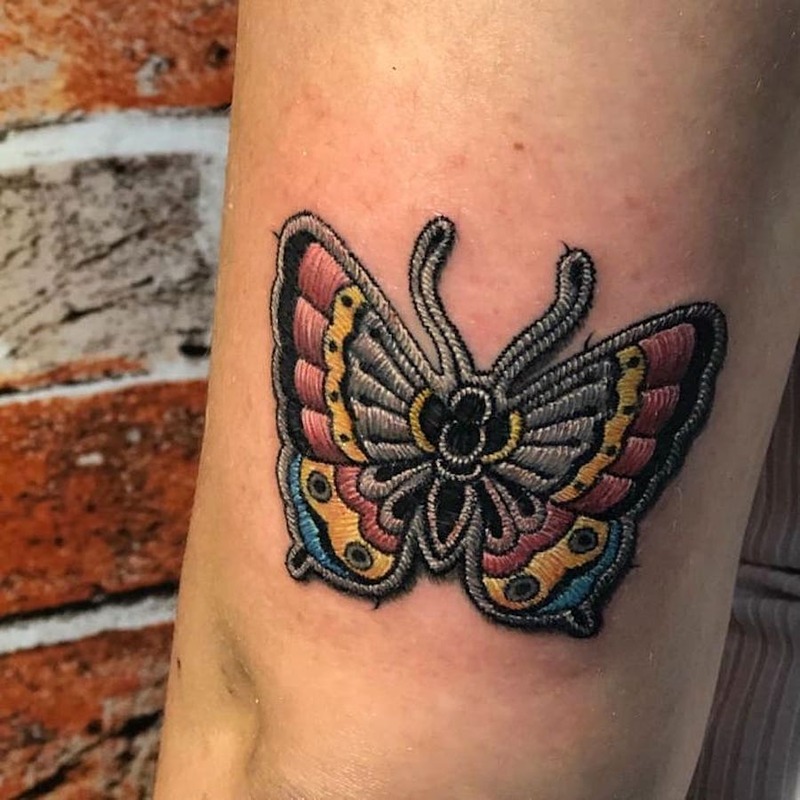 While a slight deviation from a true embroidered tattoo, taking classic embroidery patterns and removing the “texture” from them can be a great way to achieve a unique tattoo design. 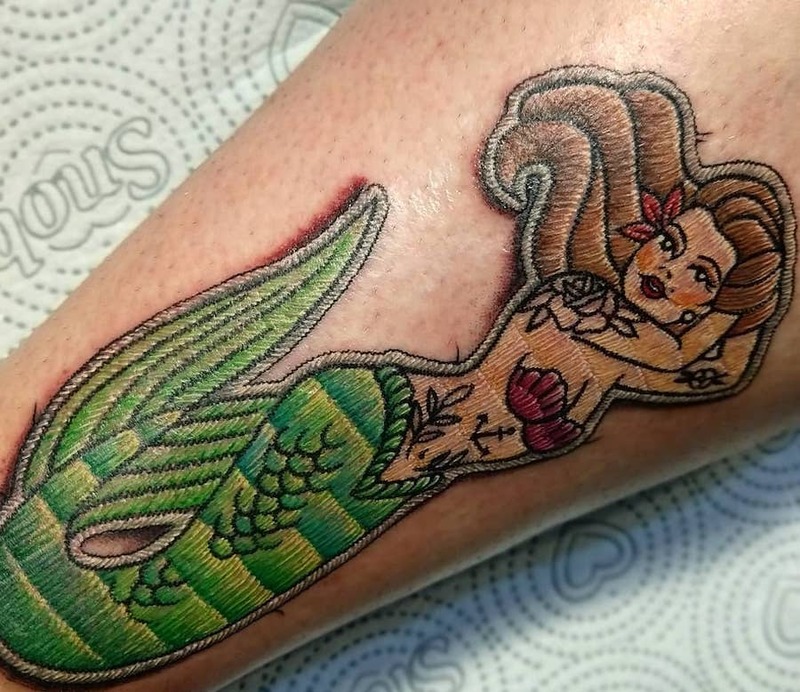 Like flowers, butterflies, and birds, and hearts – mermaids are a staple in the tattoo world. 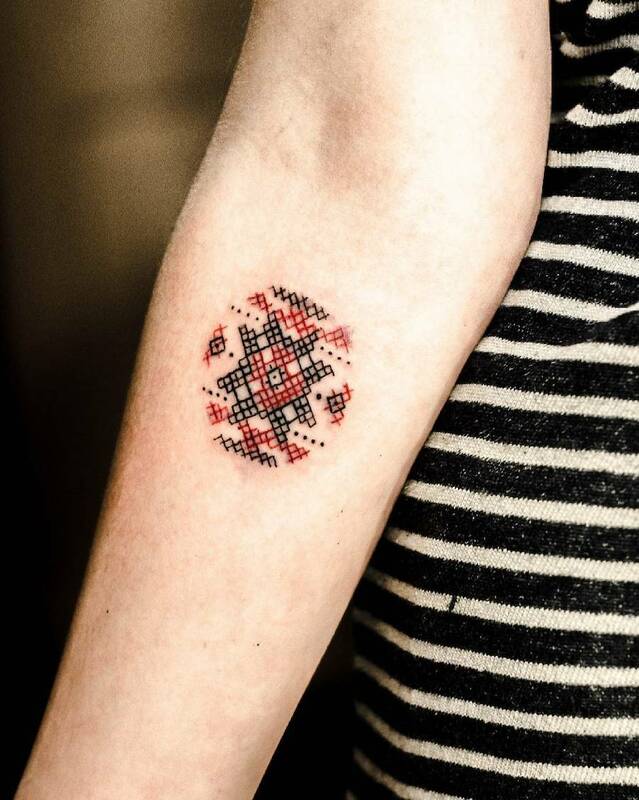 This embroidery tattoo is an original twist on a classic motif. Like the bird that appeared earlier on the list, this is a great way to mix tattoo styles to achieve a unique design. It’s meta, as well (which is always a bonus in my book). Here you can see a skeleton hand creating the embroidered flowers on an embroidery hoop. 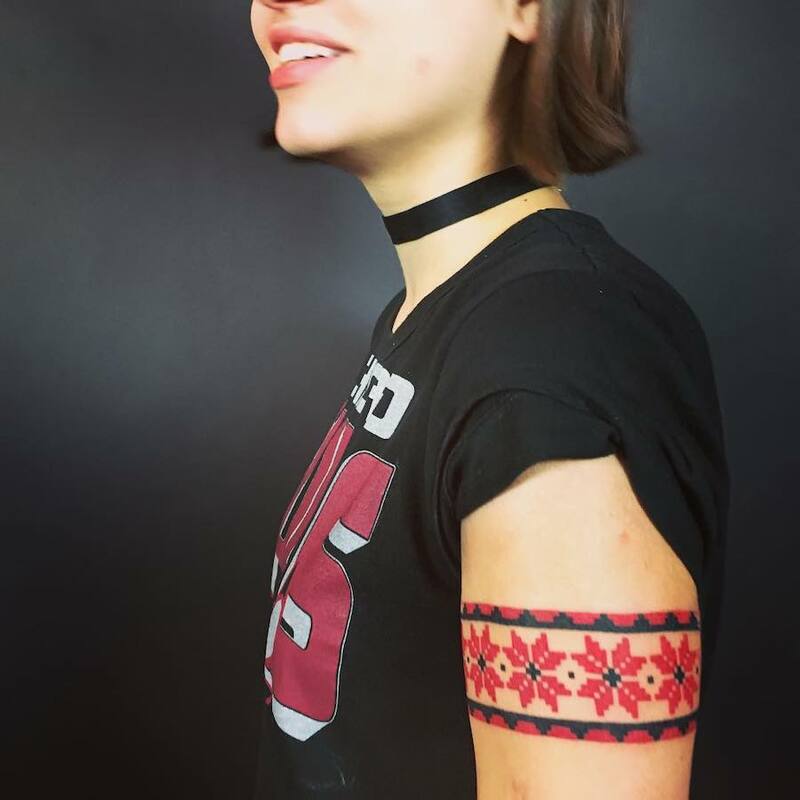 Here we can see another classic Moldovan clothing design transposed onto the human skin as a beautiful tattoo. 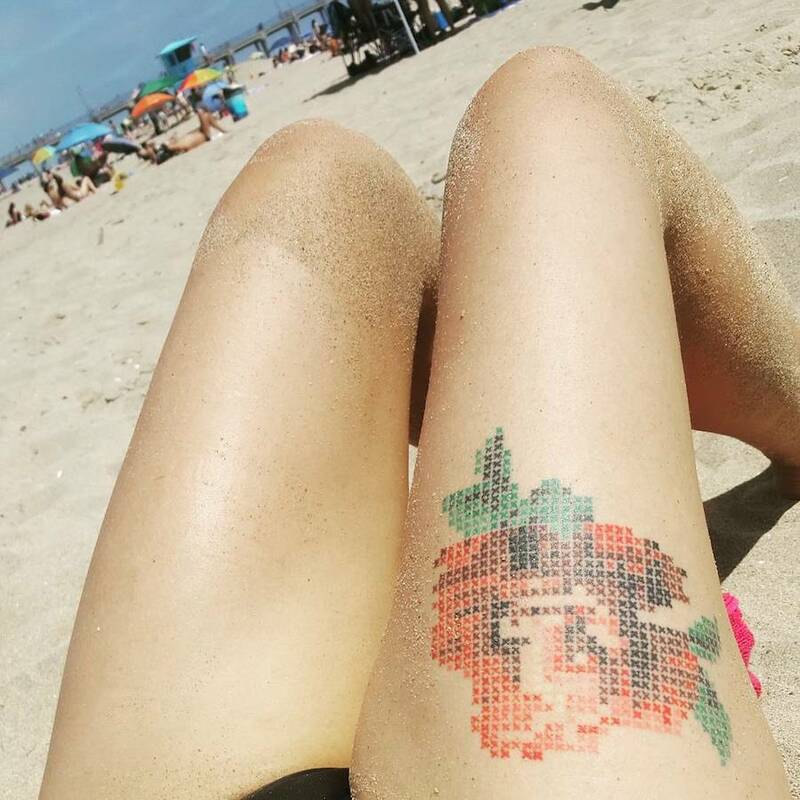 My favorite thing about this tattoo is how intricate the details are on the cross stitch. You can see it clearly on the flowers closer to the neck — each stitch is a perfect square. Furthermore, from the unfinished flower on the shoulder you can tell that most of the “texture” work is usually done by tattoo artists as a second step (instead of shading). The benefit of having a large embroidery tattoo is that you have more room to play with colors and shades. 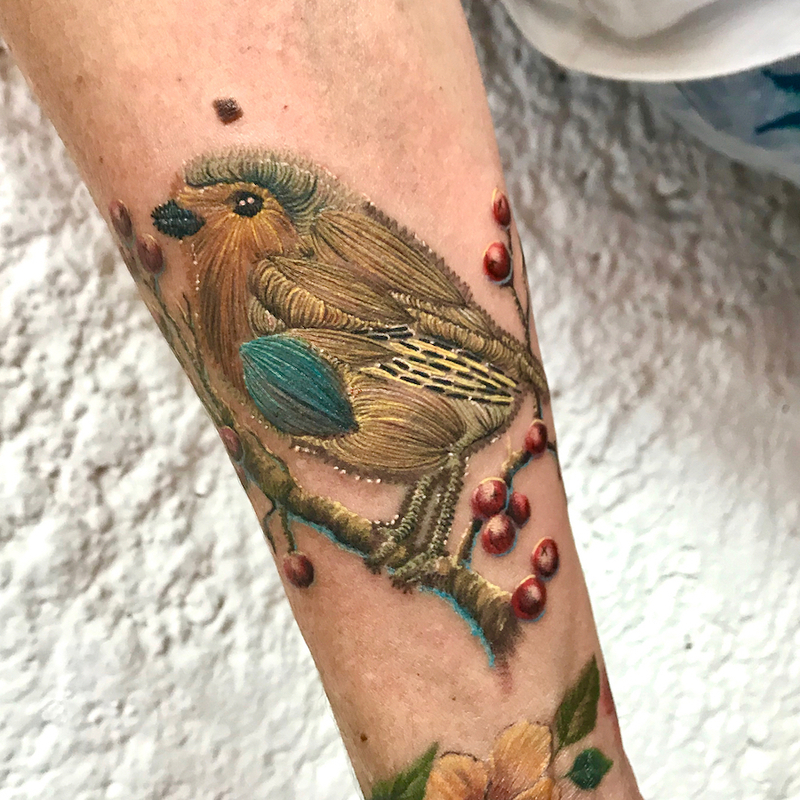 While the small flowers in the previous tattoo only had room for two – this tattoo includes four different shades of red as well as green, blue, and yellow elements. Everyone whose into embroidery has their favorite stitching pattern. Clearly for this woman that pattern is cross stitching. Since I poked fun at pillows with inspirational quotes embroidered on them I couldn’t possible skip this tattoo when I came across it. 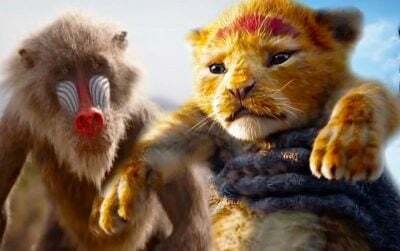 But remember, even if you think a tattoo is funny or it’s not your thing – always be kind!